Published in the UK, the USA and France in September 2016, The Gradual is Christopher Priest’s most recent novel. 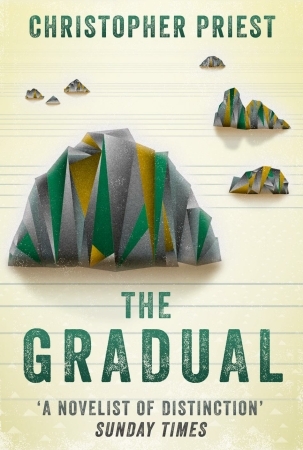 Unlike recent Priest novels, The Gradual is a linear narrative in a more or less conventional format, the story of Alesandro Sussken, a modernist classical composer living and working in a society that is broadly out of sympathy with his work. 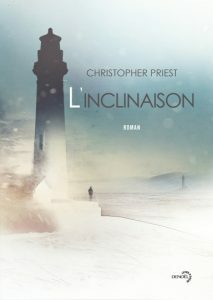 However, he becomes a successful musician, largely through sales of his records in the islands of the Dream Archipelago, a vast array of hundreds of thousands of small islands forbidden to him by the military régime under which he lives. When he is offered a chance to join a trial orchestral tour of a few of the islands, Sussken hopes to gain some insight into what might have happened to his older brother (drafted into war service many years earlier, and now somewhere in the Archipelago), and also, perhaps, to track down a musician based in the islands who has been plagiarizing and recording his music. However, once he begins his travels through the intriguing, beautiful and sometimes sinister islands, Sussken discovers that while the key to the composition of music is inspiration, time itself has a profound impact on its understanding. What he recognizes as the tempo of his life is utterly transformed. 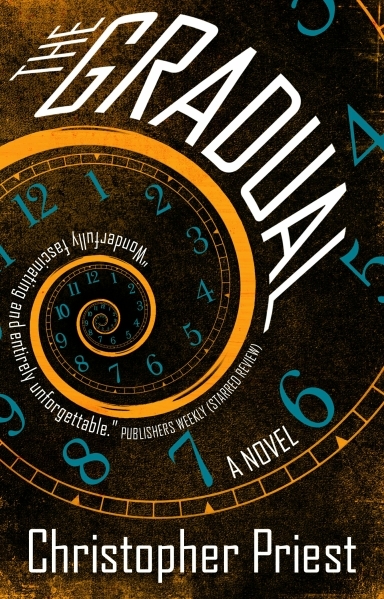 A short extract from The Gradual is here. Some reviews of The Gradual are here.